As with any brand or marketing platform, each element and touch-point tends to have a limited lifespan. As the Shewan Cartwright business continues to evolve and grow, we identified that the brand (which had served us well), also needed to be refreshed. In conjunction with an external marketing consultant, management at Shewan Cartwright were able to directly engage themselves in the re-branding process. Once the marketing brief and guidelines had been established, an international design competition was launched. Graphic Designers from Europe, Asia, Australia and North America all submitted designs. At the conclusion of the competition, five designs were narrowed down, from which one was eventually selected. 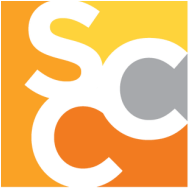 The new SCC (Shewan Cartwright & Co) logo draws on the past, aligns with the present and will continue to grow – as we do as a business.